Hiding Through a Maze of IoT Devices? In March 2018, Symantec reported about the Inception Framework abusing vulnerable UPnP services to hide themselves. UPnP stands for Universal Plug and Play and is basically just a set of networking protocols to allow devices to discover each other in the LAN and use some network features (such as data sharing or entertainment) without any configuration (hence “plug and play”). It’s a pretty old architecture that was designed in the late 90’s and finished in the early 2000’s. The most implemented revision of the protocol is probably the 1.1 that was published in 2008 and the most recent one (UPnP Device Architecture 2.0) in 2015. Everything is well documented in the UPnP specifications 1.1 and 2.0. There is more than one way to abuse UPnP, and I’m not even talking about the numerous CVEs affecting UPnP implementations. Several vulnerabilities in the UPnP design have been reported in the last decade, most of them are due to misconfiguration of the service or poor implementations. My post will describe one of them: the Open Forward attack, but more on that later. SSDP uses UDP on the 1900 port, it will send a M-SEARCH HTTPU packet (yes, it’s HTTP over UDP) to the 239.255.255.250 IPv4 address (Local Scope multicast from RFC2365) or ff0X::c in IPv6. Now, if you do send a M-SEARCH packet over the Internet to some vulnerable UPnP-enabled device, it will actually reply back, even though the protocol is supposed to be local-only! That’s the first step towards our goal: using the router as a proxy. This is the first vulnerability here, the discovery service shouldn’t listen on the WAN interface. Now what can get an attacker sending the M-SEARCH packet? The M-SEARCH server’s response contains a Location HTTP header pointing to the XML Device Description. This is basically where you’ll find what capabilities the device is offering. The XML will also show you the ControlURL variables for each service, this is the SOAP endpoint to talk to that particular service (in substance a GET/POST to that URL will trigger actions). 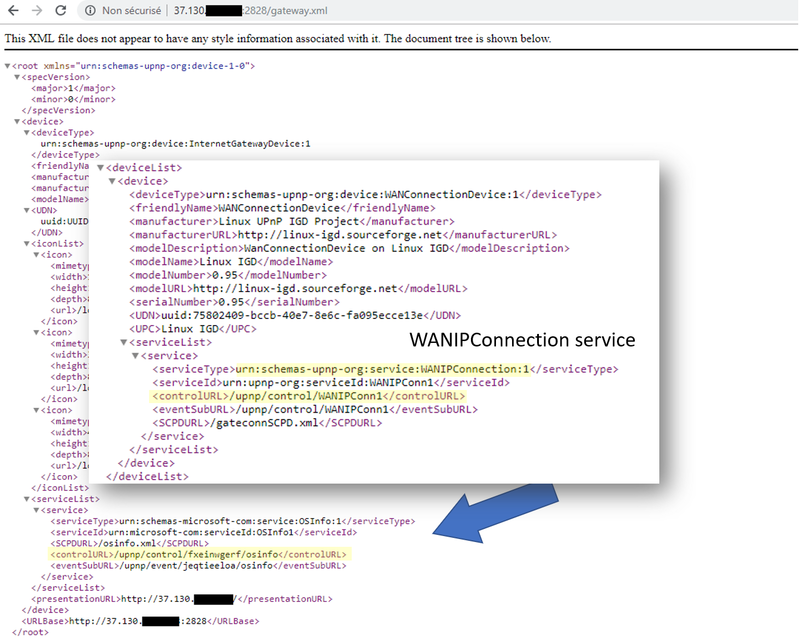 One of the most interesting service for our research is the WANIPConnection, this is the one being abused. The true evil shines through the skin of UPnP in the later stages. 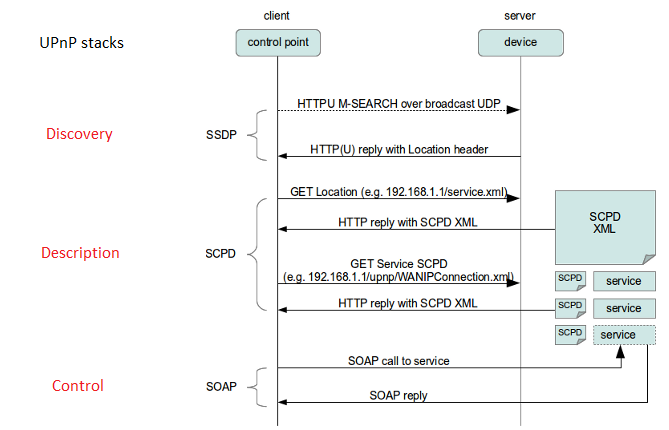 This service-type enables a UPnP control point to configure and control IP connections on the WAN interface of a UPnP compliant InternetGatewayDevice . Any type of WAN interface (e.g., DSL or cable) that can support an IP connection can use this service. An instance of a WANIPConnection service is activated (refer to the state variable table) for each actual Internet connection instance on a WANConnectionDevice. WANIPConnection service provides IP-level connectivity with an ISP for networked clients on the LAN. 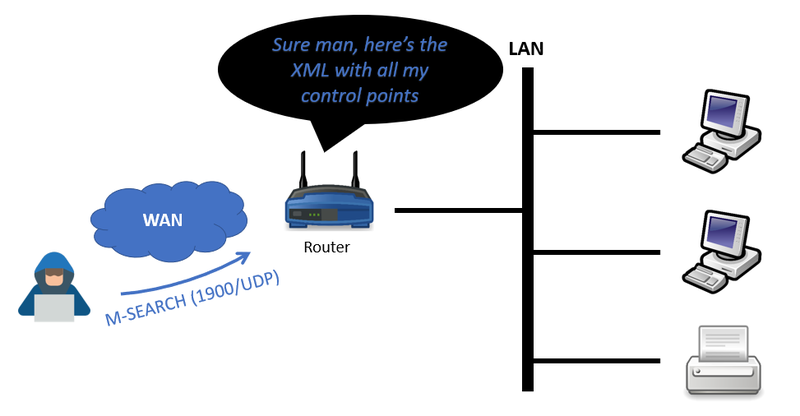 More simply put, this is the NAT traversal toolbox of the UPnP standard. 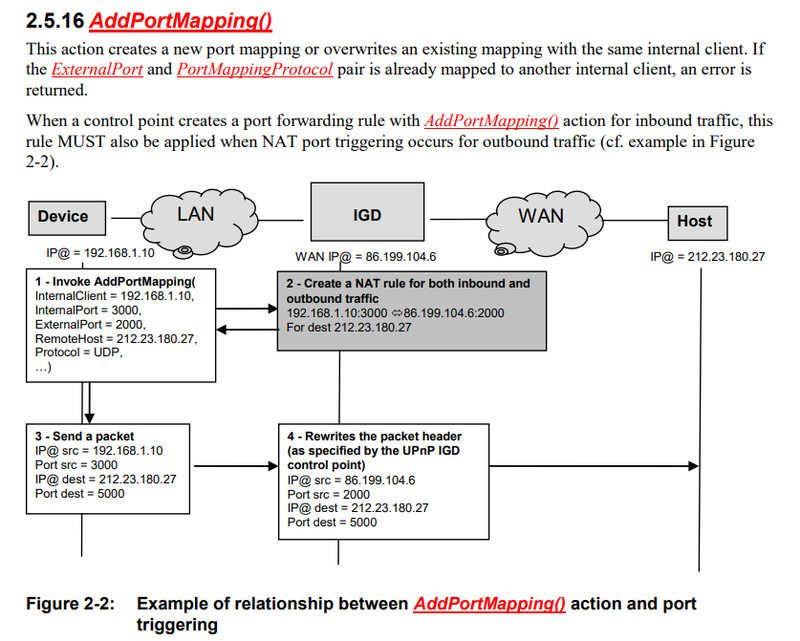 In the documentation you’ll find a function called AddPortMapping() that is used to ask the router (IGD) to redirect TCP/IP traffic to a specific host/port in the LAN. Very useful for peer-to-peer or games that require to open a port behind a “NATing” device. Now let’s abuse this UPnP function, shall we? 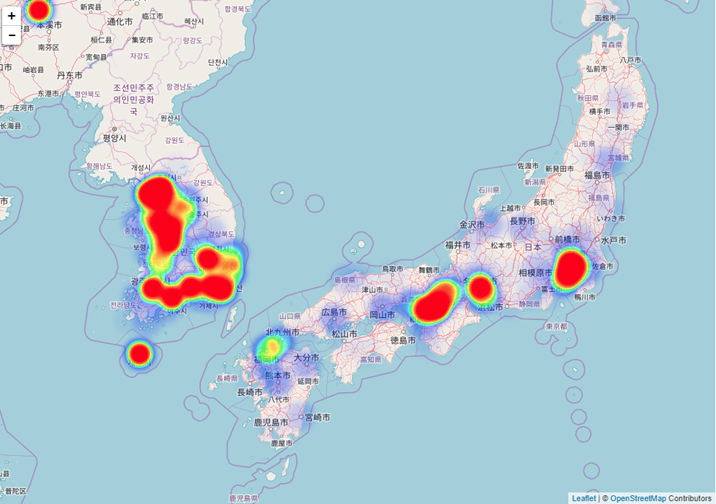 The first option has been recently dubbed by Akamai as UPnProxy: EternalSilence, an other threat actor used this trick to access Windows’ SMB ports behind routers to exploit the infamous EternalBlue vulnerability. In my research (inspired by the Symantec discovery) I was more intrigued about the second option. So how does it work? The attack is actually really clean, you simply have to ask — just as if you were on the LAN — the router to gently add a port mapping with the right parameters. Instead of redirecting the traffic to a local client, you can specify any public IP address. In most implementations the UPnP daemon will just spawn an iptables process with your specified parameters… without any check! This way you can use the router as a dumb proxy and masquerade your IP address. This is what have been doing this Inception group with 3 layers of routers. According to Shodan there are 2.2 Millions (as of November 2018) UPnP-enabled devices responding to a M-SEARCH discovery request… this is huge but hang on. Through active scanning, I found that 13% of exposed UPnP devices were vulnerable to the Open Forward attack I mentioned earlier. This is about 290k vulnerable devices across 80 countries.